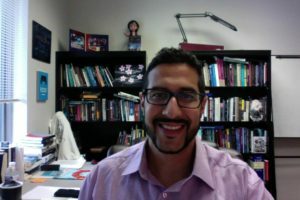 Dr. Mohamad Al-Hakim is an Assistant Professor in the Department of Communication & Philosophy at Florida Gulf Coast University. He holds an Honours Bachelor of Arts and a Master of Arts from McMaster University and completed his Doctorate of Philosophy at York University (Toronto Canada). His primary research focuses on political, legal and moral theory, with special focus on issues on minority rights and hate crimes. Dr. Al-Hakim has published on various topics, including multiculturalism and identity-politics, hate crime legislation, and government ethics.